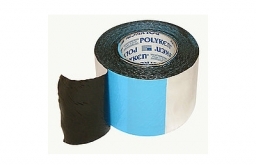 Description: Polyken® #360-45 tape has an aluminum foil backing with a butyl rubber adhesive. 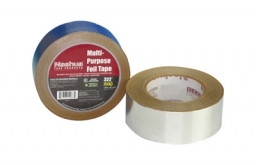 This tape provides instant water and air-tight seal, resistance to moisture and solvents, and it is easy to use in tight spaces. Applications include duct joint sealing for low, medium, and high pressure HVAC systems; window and door flashing; repairs in aluminum siding, sheet metal, gutters, storage buildings, flashing, containers, and more; and sealing roof alleys, eaves, hips and ridges. Standard Widths: 3" & 4"
Description: 5.0 mil dead-soft aluminum foil backing, specially designed for taping joints and seams against moisture and vapor on foil jacketing insulation. Appropriate for a variety of insulation uses. Description: 6.3 mil lead foil backing with a green rubber adhesive. Good conformability, electrically and thermally conductive, strong acid and base resistance, electroplating, radiation barrier, x-ray plate masking, weighting and balancing. 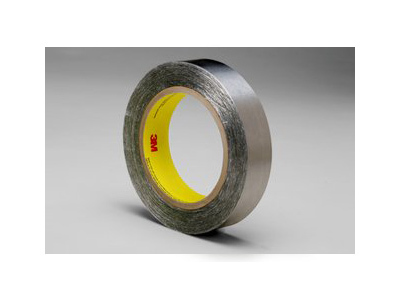 Resists flame, resists moisture, resists weather, resists UV degradation, chemical resistant tape for heating and cooling efficiency, heat reflective tape, light reflective tape, and conformable tape. 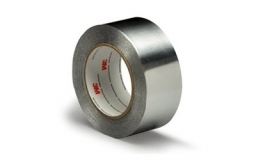 Standard Widths: ¼", ½", ¾", 1", 1.5", 2" & 3"
Description: 3M™ Aluminum Foil Tape 425 combines a 3 mil nominal dead soft aluminum foil backing with a special transparent synthetic acrylic adhesive, making this the best general purpose foil product available. 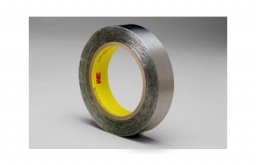 This tape is ideal for masking, sealing, seaming, shielding, chemical stripping, harness wrapping, joining, electroplating, plastic protection, chemical milling, heat shielding, heat reflecting and paint stripping.